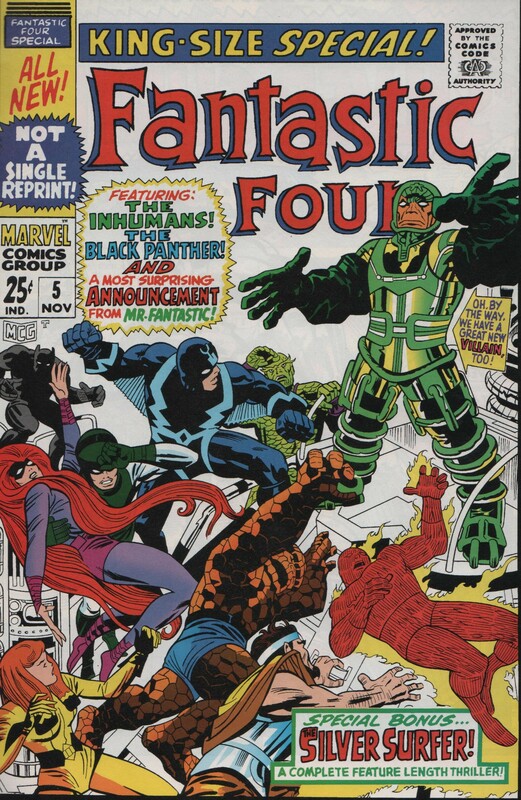 Fantastic Four Annual #5, 1967 | Magazines and Monsters! 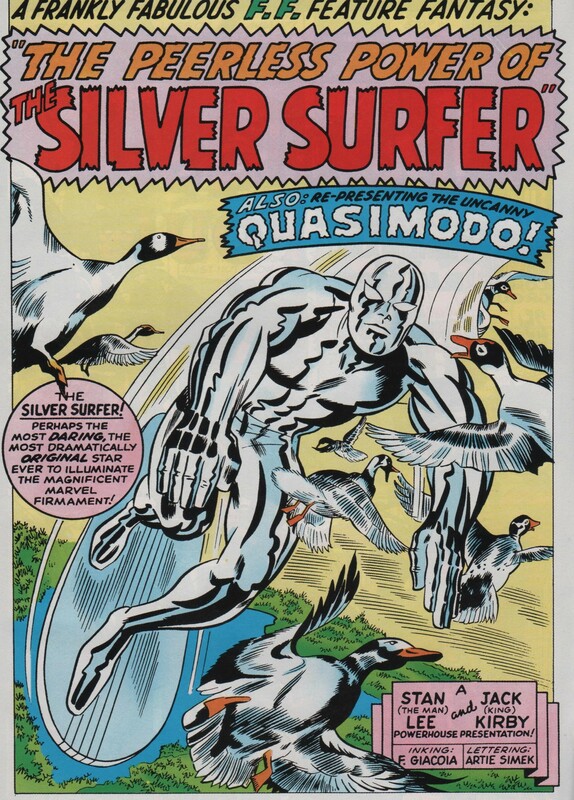 In this fantastic story, you get to see the incredible Silver Surfer, the way only Jack Kirby could draw him! As the Surfer is flying around, taking in Earth’s beauty, he’s nearly shot by some duck hunters. He gives them a warning shot, and continues on his way. He then stumbles upon a computer, inside an abandoned laboratory, formerly a hideout for the Mad Thinker! Inside this normal looking computer lies a secret, and its name is Quasimodo! This creature was created with the sole purpose of destroying the enemies of the Mad Thinker. The Fantastic Four thwarted his plans, and the evil villain left the computer to rot. It’s kind of sentient though, and mentally cried out to someone. The Silver Surfer was passing by, and heard the cries for help. Well, I wont spoil it, but needless to say that an evil genius conceived this computer, so when the Surfer helps it escape its prison, it’s not as grateful as one would hope. 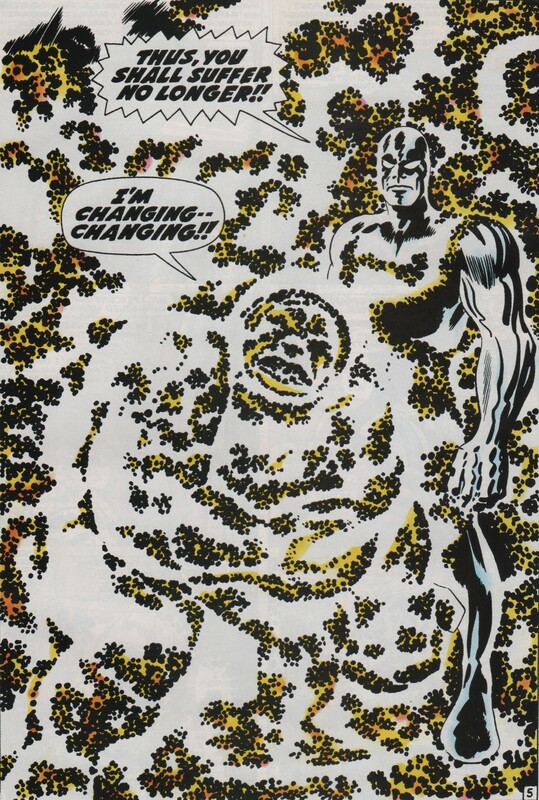 A battle at the rooftops of New York City, between the cosmic powered Silver Surfer, and Quasimodo, the living computer! My copy is from an issue of Marvel Milestones that includes one of the best Dr. Strange stories ever told as well! Enjoy!